Living on an island, has meant countless hours walking the beach, searching for a very precious treasure - Sea Glass. It is amazing how the ocean waves and sand can transform old broken glass into something so beautiful. I wanted to share this beauty and was inspired to make something special from my Seaglass Collection - Handmade Jewelry. Since each piece of Sea glass is shaped by mother nature, no two pieces are exactly alike. That is what makes my Jewelry so unique. It has been over ten years since my journey began, I have grown to love and enjoy it. This is reflected in the design of each piece of Jewelry that I create. I hope you enjoy this gift from the ocean. 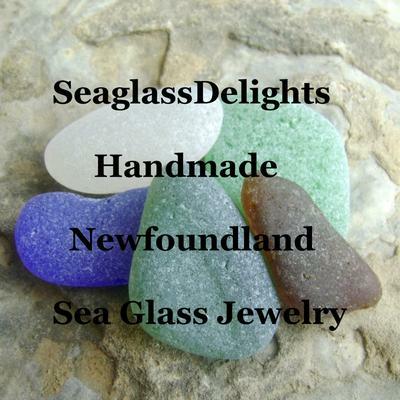 All of the sea glass I use is personally hand picked off the shores of Newfoundland. I continue to refine my work through experience and seminars which I attend.